this Friday (7 p.m.) and Sunday (2 p.m.) at the Ukrainian Museum. Are you ready for the all-dancing, all-music, all Ukrainian weekend in New York City? It begins with a film screening of Roxy Toporowych's Folk! at The Ukrainian Museum on Friday night, 7 p.m. On Saturday night at 7 p.m. there is a live performance of the Syzokryli Dance Ensemble – the stars of Folk! – at NYU's Skirball Center. If the live performance whets your appetite for more, the weekend closes on Sunday at 2 p.m. with a repeat presentation of Folk! at the Museum. In Folk! 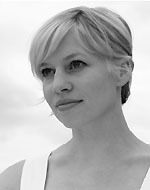 (2008), filmmaker Roxy Toporowych guides the audience through a fun-filled whirlwind of Ukrainian culture, Ukrainian-American life, and her one true obsession – folk dancing. Roxy meets legendary choreographer Roma Pryma Bohachevsky and joins her dance company (Syzokryli) as the dancers prepare for a sold-out performance in New York City. When tragedy strikes, the company struggles to pull the show together. With tensions high and bodies out of shape, we follow the dancers through an uphill battle of body and mind, as everyone pursues the passion to Folk! 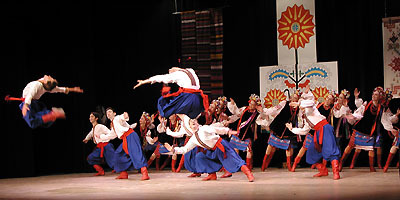 The film also features dance troupes from Philadelphia, Cleveland, and Kyiv, Ukraine. A native of Parma, Ohio, Roxy Toporowych has been directing and producing films for over ten years. A graduate of NYU's Tisch School of the Arts with a BFA in Film and Television, Roxy has tackled various aspects of film production and post-production while working on her own creative projects. As a student at NYU, Roxy wrote and directed several award-winning student films such as Ten Minutes... and Nichna Tisha, which went on to the Johns Hopkins International Festival and the Athens International Film Festival, among others. Roxy has worked on numerous television programs including "Saturday Night Live", "Law and Order: Criminal Intent", "Law and Order: SVU", and "Trauma: Life in the ER" and on feature films, such as Laws of Attraction, In the Bedroom, The Notorious Bettie Page, Brooklyn Rules, House of D (in which she had a role opposite Frank Langella), Winter Solstice, Definitely, Maybe, and I Am Legend. According to Roxy, her greatest accomplishment to date has been directing and producing the documentary Folk! The film is the start-up project for KinoRox Productions, a company she co-founded with cinematographer Jeremy McCarter. 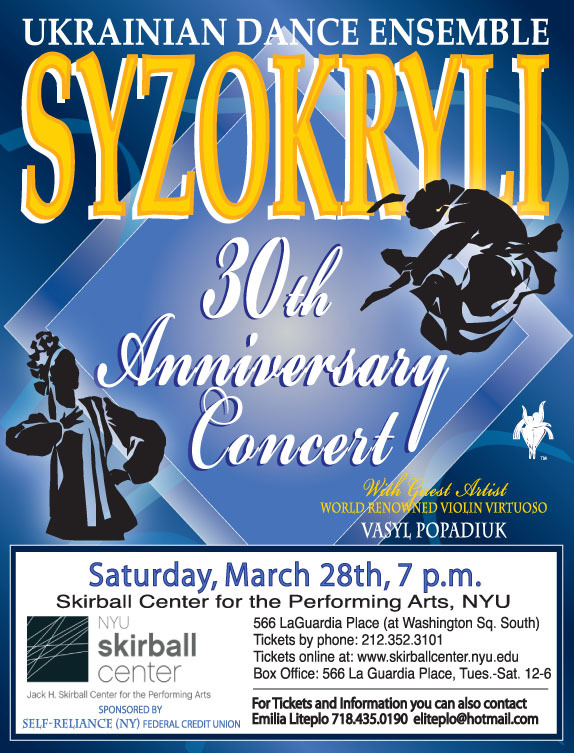 Syzokryli, the premier folk dance troupe founded by the legendary Roma Pryma Bohachevsky, is celebrating its 30th anniversary with a special performance that includes a musical interlude by another legend – violin virtuoso Vasyl Popadiuk, nicknamed "Papa Duke." 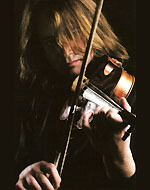 If you have never heard him play, a Google search will produce dozens of links to video and audio files where you can witness his spine-tingling skill on the strings. Popadiuk comes with all the appropriate credentials, having started at age 7 at the Lysenko school for gifted children in Kyiv, Ukraine, and later continuing at Ukraine's National Tchaikovsky Conservatory of Music. Popadiuk is completely at ease, whether playing classical music, lively folk tunes, or a jazzed up version of Dark Eyes (Ochi Chorni). His performance this Saturday is bound to be riveting. March 28, 2009, 7 p.m. The highlight and main attraction of the evening, however, will be the Syzokryli dances. Alumnae of the dance schools and the ensemble founded by Roma Pryma Bohachevsky more than 30 years ago have been rehearsing to recreate the magic of the days when the troupe first entertained audiences with their artistic productions of Ukrainian folk dances. Many of Bohachevsky's students went on to become dance professionals, most notably Orlando Pagan, who is now with the Dance Theatre of Harlem, and is the artistic director of Syzokryli. 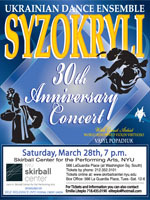 The Syzokryli dancers have showcased their art in such varied venues as the Alice Tully and Avery Fisher Halls in Lincoln Center, Madison Square Garden, the Brooklyn Academy of Music, and the Fashion Institute of Technology; the Academy of Music and Robin Hood Dell East in Pennsylvania; the PNC Arts Center and Newark Symphony Hall in New Jersey; and Constitution Hall in Washington, D.C. In 1992 the group conducted a highly successful tour of Ukraine with performances Ukraine's major cities including Kyiv, Lviv, Kharkiv and Ivano-Frankivsk. The anniversary concert will include a repertoire of dances choreographed by Roma Pryma Bohachevsky, Orlando Pagan, and Boris Bohachevsky, ranging from traditional folk dance to romantic evocations of life in the Carpathian Mountains to a modern interpretation of New York City culture. Bohachevsky's Fight for Freedom will be performed in honor of the victims of the Holodomor (the 1932-33 famine-genocide in Ukraine that killed millions) and Chornobyl (the 1986 nuclear disaster north of Kyiv in Ukraine).